NYCTA class R-1 electric subway train. The train consists of 10 motorized cars. This train was originally built for the IND. 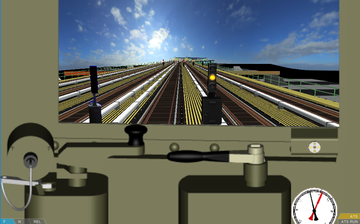 Realistic driver's stand with manometer (pressure gauge) and pilot lamp.